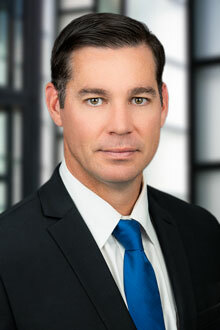 Nicholas Dareneau is a partner in the Tampa office of Lewis Brisbois and a member of the General Liability Practice. Mr. Dareneau has been practicing in Florida since 2005 and practices primarily in general liability, with a focus on hospitality and premises liability. His clients range from airport authorities to national restaurant chains to shopping malls. The work that he has performed for clients has consistently resulted in positive verdicts, summary judgments, and favorable settlements. He is available twenty-four hours a day and seven days a week to meet his clients’ needs; including answering legal questions or responding to scenes and investigating potential emergent claims. Mr. Dareneau began his legal career providing representation to injured workers. He has represented numerous employers and insurance carriers throughout the State of Florida. He has also represented employers in civil actions arising from workers’ compensation claims. He continues to devote a portion of his practice to workers compensation.